For facing ends of tubes in heat exchangers and condensers. It has one replaceable tool bit and a set of rotating pilot bushes. Fitted with an adjustable thrust collar the unit incorporates a depth gauge which accurately controls the amount of tube protection. An important safety feature is the left hand threaded adjustment of this part to prevent accidental self feeding of the cutter. Available for tubes from 5/8″ to 1 1/4″ (15.8 mm to 31.75 mm) O.D. 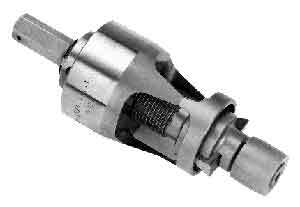 Tool bits also available with titanium coating for exotic materials.